Developing yourself to become the leader you have the potential to be, will change everything for you! 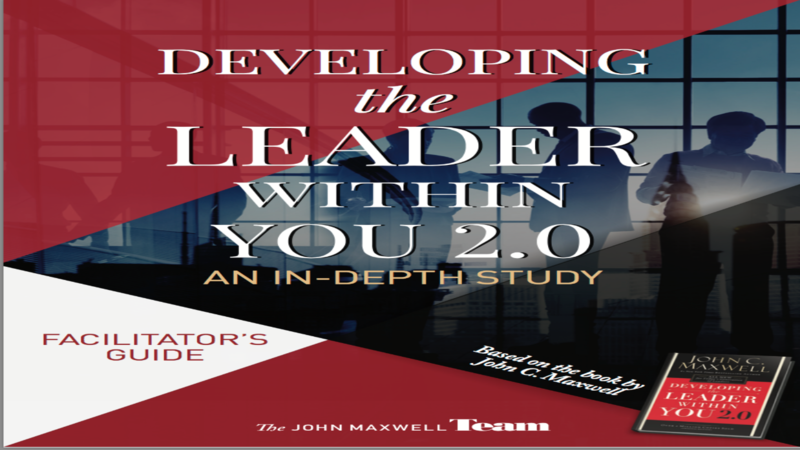 This 6-week exclusive mastermind and study is and in-depth study of John C. Maxwell's bestselling and recently updated book "Developing The Leader Within You 2.0" facilitated by John Maxwell Team Executive Director and Founding Partner Becky Spieth, CBC. What could change in your business if you developed as a leader? 1. Six (6) 90-minute group study conference calls facilitated by John Maxwell Team Executive Director and Founding Partner Becky Spieth, CBC. 2. 69-page Participants workbook in PDF download format (worth the investment alone). 3. Your training completion certificate in PDF download format. 1. Secure your position in this Program now. Only 15 are available for this group. 2. Obtain your copy of the book "Developing the Leader Within You 2.0." If you're serious about developing into the leader you have the potential of becoming, I look forward to seeing you on the call. You can become a better leader.